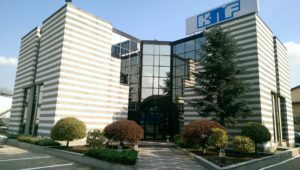 KNF develops, produces and distributes high-quality diaphragm pumps and systems for gases, vapors and liquids. They are available as builtin pumps for OEM use as well as for process applications and laboratory use. 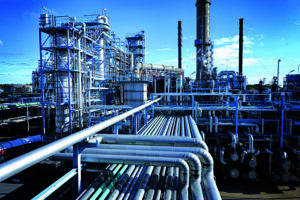 The independent KNF Group comprises 16 companies and five production facilities worldwide. Founded in Freiburg im Breisgau in 1946, KNF began developing, manufacturing and selling diaphragm pumps in 1962. In the late 1960s, the company started to establish an international presence by founding a subsidiary in France. The company, which is still an independent family firm today, developed rapidly and set new benchmarks in pump technology with its pioneering applications and ventures into new markets. With an extensive product portfolio of application-specific pumps and systems, KNF has been a technology leader for decades. Countless customers across the globe rely on KNF to supply durable, reliable products for a wide range of diverse applications. With more than 60 years’ experience of diaphragm pump technology, KNF offers a wide range of series gas and liquid pumps but its real strength lies in the ability to produce customer specific pump and system solutions to suit our customers’ individual requirements. KNF is perfectly sized to provide quick innovative custom designs yet large enough to manufacture high volumes when required. The strength and flexibility of R&D and production coupled with a network of well- organized sales centres carrying stocks of both Laboratory and OEM products for the local market enable us to provide a swift turn around and offer the best possible customer service at all levels. Beyond making quality, well-designed pumps, the people behind our technology are the driving force of our success. It takes a whole team of engineers, manufacturers, and customer support specialists to bring KNF pump technology to life. All series models are fully approved and tested to meet the customer’s technical and economic requirements. Most of the time series models are able to satisfy our customer’s needs but when a standard product is not up to the job KNF can adopt its modular system to tailor make the best solution for your application. of three main components: pump head, compressor housing and motor. The materials used in the pump head can be substitutedto provide greater chemical resistance. Multiple motor options or inter-head connections are available depending on the customer’s requirements. 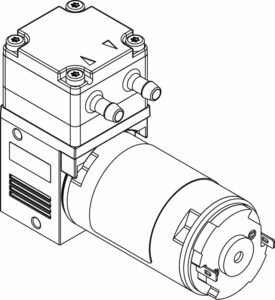 Starting with a series product, any pump can be modified to provide an individual customized solution, which is then referred to as a project pump. Customized KNF pump configurations are handled as individual projects with an individual number. KNF uses a sophisticated modular system that enables it to adapt the design of its pumps quickly, efficiently and cost-effectively. By combining our pump know-how with the customer’s application expertise, we are able to optimize each pump precisely to specific application requirements. Every product modified to meet specific customer needs is assigned a separate project number. This customer-specific project is then taken as the starting point for defining the pump configuration, test conditions, packaging and other special requirements. Finally, the fact the project number is allocated to a specific customer means that third parties cannot purchase it without the customer’s permission. As a technology leader, KNF OEM pumps enable design engineers to create highquality systems and devices across multiple industries. Combined with our history of precision production, we understand and anticipate the needs of each customer and every environment our pumps will perform in. Medical industry :KNF liquid and gas pumps play a critical role in many medical devices including anesthesia monitoring, invitro diagnostics, therapeutic and surgical equipment. Environmental: When environmental sample collection and analysis is required, KNF pumps are the driving force behind ambient, source, and portable safety monitors. Analytical instruments: Our pumps are used for measuring physical and chemical properties of materials. applications where precision and reliability are critical for high-resolution imagery. Security and defense: Our pumps are a staple for TSA and first responders, who rely on them in airports and perimeter monitoring checkpoints where safety is of utmost importance. Fuel cells: KNF is a major player in supplying pumps to the manufacturers of fuel cells for portable devices, transportation, primary, and backup power. Cleaning and disinfection: In a world with an increasing focus on health and safety, KNF liquid and gas pumps are used in a wide variety of applications ranging from deep cleaning of the floors and carpets, to sterilization for human and animal health. Semiconductors KNF diaphragm pumps provide a new level of contamination-free, gas-tight media transfer where substances are measured at parts per trillion, and trace impurities result in costly stoppages. In addition to the list of applications above, we have experience in many other fields, and specialize in custom- engineered pumps and systems. KNF prides itself on being there every step of the way, from the customer’s initial enquiry to delivery of the finished product. Our hands-on approach allows us to build and consolidate personal relationships with the customer so that we can fully understand and satisfy his needs.